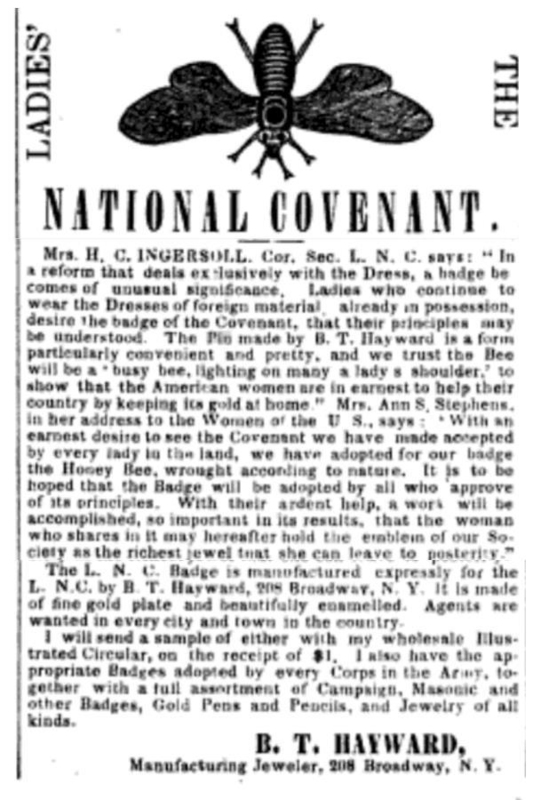 "The emblem of this Covenant was a black or gilt bee, worn as a pin fastening the national colors, upon the hair, arm or bosom, as a public recognition of membership." 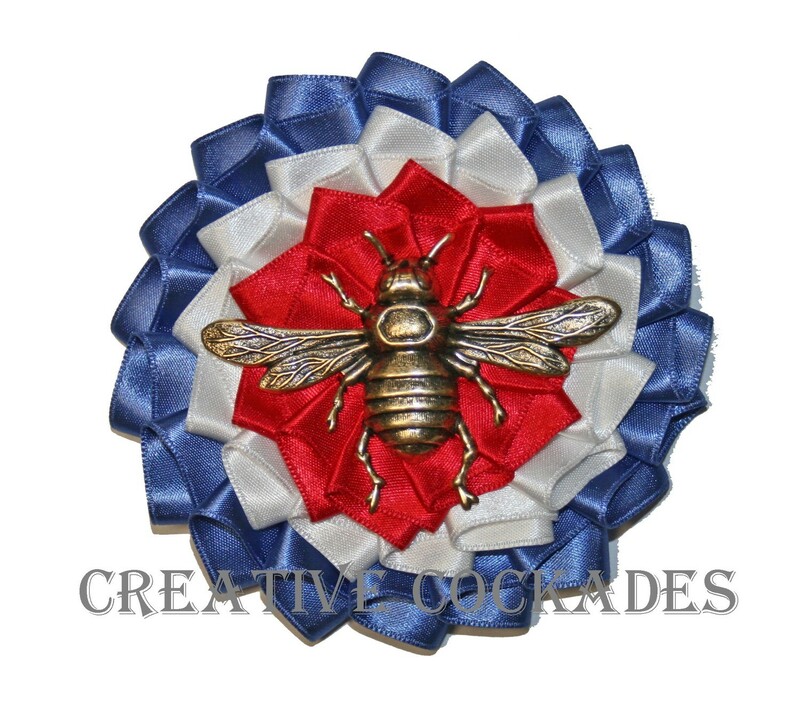 My creation of this historic "Buy American" campaign badge is a gilt bee, very like this one in a period advertisement, along with a cockade of "the national colors," red, white and blue. Wear this conversation piece for your own personal "Buy American" crusade!